In sitting down to review this novel, I could give you a summary of Zelda and Scott Fitzgerald's whirlwind romance, from their flirtations in Montgomery to their rapid-fire wedding in New York City following the publication of Scott's first novel, This Side of Paradise. I could tell you about the Fitzgerald's romps through New York and Paris and Italy and Alabama and Hollywood and back again. I could explain to you the cracks and breaks in their marriage, their passion alternating between love and hate on a near-daily basis by the end. But I'll leave all that alone, because Therese Anne Fowler does it better than I could hope to do. Instead, I will tell you that Fowler's novel Z: A Novel of Zelda is on bookstore shelves this week, and that it is a book meant for the hands of anyone with even a passing interest in the Jazz Age. I will tell you that Fowler has clearly done her research, packing her novelization of Zelda's life with enough detail and historical accuracy that it is easy to forget that we are reading fiction. And I will tell you that Z is my favorite kind of historical novel: one so steeped in truth that it sent me out looking for more to read about Zelda and her famous--and often infamous--husband immediately after turning the last page. Fowler never claims to know the full truth of Zelda's life, especially given the conflicting nature of many of the records available to us. But with the information available, she has reconstructed a perfectly plausible--and delightfully captivating--account of Zelda Sayre's life as Mrs. Fitzgerald, cataloging the extreme highs and lows that the couple suffered together and alone. 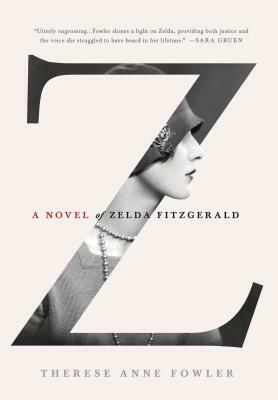 Z is sure to be of interest to anyone familiar with Scott Fitzgerald's work--and did you know Zelda herself was a writer?--to those with an interest in the Jazz Age, and to any readers who enjoy imagining the histories of their favorite writers. 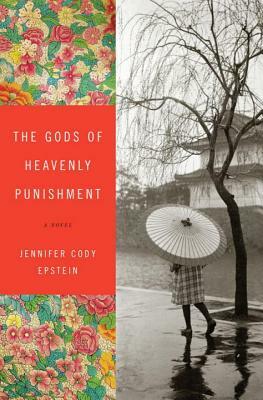 I received a copy of this title for review from the publisher via NetGalley. HPatGoF is inteeeeense, y'all. I did not remember how absolutely suspenseful the last few chapters were; even knowing how the book ends, I stayed up well past my bedtime this week to finish this section. And my, does it tug the heartstrings. There's no gentle lead-in to Diggory's death. It's just, boom, we're noble and heroic and we will share the championship FOR HOGWARTS! and then boom, Portkey and then boom, Avada Kedavra, dead. Also, I love that we get to see Dumbledore's true badassery in this section, as he immediately figures out the Moody situation and deals with it without delay. Harry says Voldemort is back? Ok, then, let's get real about this and see what we can do to stop it. Oh, and Minerva, while we're sorting things out, go get that black dog from my office and tell him we'll be right in. Moody is really Crouch sipping Polyjuice Potion to make him look like Moody? Truth serum, stat. He also wears his scary face and brooks no nonsense. I like that in a wizard. There is so much set up for Book 5 in the last few chapters of Book 4, it makes me all tingly inside. Not set up like Book 4 loses its way, but Voldemort comes back, we learn who really is a Death Eater (no surprises there, quite), the Weasleys are called upon to be awesome yet again, Snape goes off on some undefined errand for Dumblydorr, the mystery of Crouch is revealed, Sirius shows himself to his fellow Voldermort-haters, and we just know that things are going down. It's like it's impossible to read this scene without hearing dramatic but excited music playing in the background. I know there are a lot of things that happen that are fascinating that aren't directly related to Voldemort's return to power (Fred & George's money, for one, and the tournament itself, for another), but I am easily distracted by dramatic crescendo-ing conclusions, and now I'm all giddy for the next book. This nerdy tote bag, purchased while we waited in a three-hour line to have Brandon Sanderson and Harriet McDougal (Robert Jordan's wife, and editor of the Wheel of Time series) sign our copy of A Memory of Light - the last Wheel of Time book. Our recent trip to Portsmouth, NH, which included a drive up the Maine coast and a stop at the Nubble Point lighthouse. My slow but steady progress through War and Peace, which I'm determined to read before my 26th birthday. This guy, and his growing collection of ridiculous sweaters. "Percy is a swine-nosed imp." I didn't even reference a page number, so I have no idea what got me all bent out of shape about Percy (this time). In other news, this week, we learn all about how Rita Skeeter is the absolute worst, and how Albus Dumblydorr is all about second chances: Hagrid (we knew that already), Lupin (who couldn't love Lupin? ), and, it turns out, Snape (ugh, Snape). Snape is still an asshat, Karkaroff is up to no good, and that mermaid scene underwater is actually kind of creepy, because, well, friends and loved ones knocked out and floating under water under threat of death or other imminent demise if not rescued within one hour. I'm really glad Harry got extra points for honor, because even though they all laugh it off and pretend like of course Hogwarts wouldn't actually let someone die/disappear/be eaten by merpeople if they weren't rescued within an hour... the clue does actually say that that something "black" will happen. So good on you, Harry, for being a hero, because if we've learned anything in the last 3 books, it's that sometimes the wizarding world is more harsh than we might expect. - How many dots must show up on the Marauder's Map at any one time? This goes back to the maths (I blame the readalong for this obsession with the maths), but really, if it shows everyone, doesn't that make the map a little crowded? And... wouldn't it mean Harry could figure out where the other Houses' common rooms are, because there would be clusters of students there? - Myrtle complains to Harry that sometimes she gets flushed out into the lake when someone isn't paying attention. HOW IS THIS POSSIBLE? First of all, gross, Hogwarts, that's pollution, you can't just flush your crap into the lake and then expect students to go diving into it to rescue their loved ones. Second of all, gross, Myrtle, just leave the toilet if someone starts using it. Third of all, I thought ghosts couldn't be affected by material things (they can't eat real food, for instance), so how could the water force her to move against her will? I don't know why I am so hung up on this, but I am. Things are getting iffy with Crouch and Bagman, Moody is up to something, Sirius is suspicious, Hermy-own-ninny and Skeeter are going to duke it out, and the great maze challenge is upon us. I'm so excited for the rest of this book. This post originally ran in the Friday, March 1st issue of Shelf Awareness for Readers. 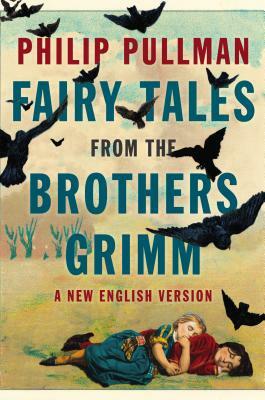 Philip Pullman, most cherished for the His Dark Materials trilogy, has revisited the classic fairy tales in Fairy Tales from the Brothers Grimm: A New English Version. His is not an attempt to modernize or change the original tales, but to present 50 of what he terms the "cream" of the crop in the clearest terms possible. The result is a collection of stories packed with crisp dialogue, witty commentary and an accurate sense of the other-ness of the original tales. Peter Ackroyd has approached several classics with the intent of "re-telling" them. 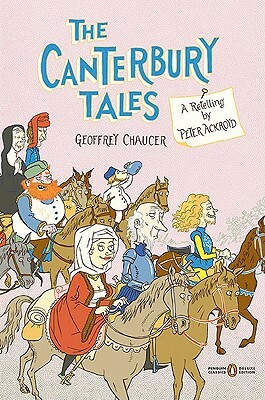 Though he might prefer the modern reader to learn enough Middle English to read The Canterbury Tales in the original, he acknowledges the improbability of such a trend--thus, his stunning translation of the tales into modern English. 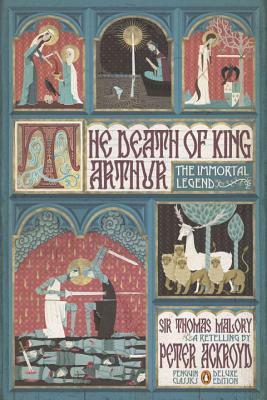 In his more recent retelling of The Death of King Arthur, Ackroyd offers a more contemporary idiom. Both retellings are proof of the author's dedication to the originals, preserving as much as possible while inviting modern readers into stories they may otherwise have missed. Where Pullman and Ackroyd have attempted to stay true to the originals, Nick Hayes has instead used a classic poem as inspiration for a more modern tale. 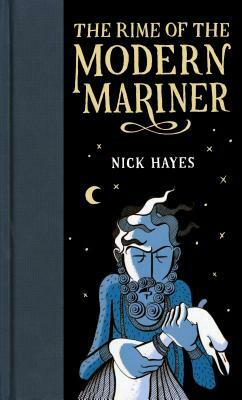 The resulting The Rime of the Modern Mariner is a graphic novel based loosely on Coleridge's original Rime of the Ancient Mariner, but set now in a world of environmental disaster. Note #2: I'd really, truly forgotten how much I like this book. When we last left off, Hogwarts had just announced the Triwizard Tournament and everyone was plotting how to get around Dumbledore's Age Line to put their name in the Goblet of Fire. Now, the other competing schools have arrived and SURPRISE! Harry Potter's name has come out of the Goblet of Fire. Which, of course, is pretty much Ron's take on things, because he immediately starts snubbing Harry and acting totally immature and jealous, even though I really do feel bad for him because once, just once, he just wants something amazing to happen to him. Hermione sums it up when she says he just feels overshadowed. Again. And, once again, Hermione proves herself the most intelligent witch/wizard around--this time, including the professors--because obviously Harry could not have hoodwinked the Goblet of Fire into thinking there should be four competitors on his own, and even more obviously, he could not have tricked Dumbledore's Age Line without Dumbledore's knowing it. Why is it that only Hermione (well, and Harry) seems to be able to see this? There is Moody, of course, who also sees this is highly suspicious, but he sees everything as highly suspicious and is immediately dismissed as a paranoid whack-o. Oh, actually, maybe that's why everyone else dismisses any possible foul-play or danger-intending when Harry's name comes up. Of course, Harry battles a dragon and pretty much plays Quidditch with it, Golden-Egg-Snitch and all, which is amazing, and Ron forgives him and everything is right as rain again (except for that whole someone-trying-to-do-Harry-in-bit). Which I'm grateful for, because pretty much every scene in the entire series in which HRH aren't speaking is my least favorite scene of them all. NOW... Golden Eggs! Sirius returns! House elf liberation! Awkward romances!